Double Bubbles, a beautiful Cub, and why AME-Es are so popular. 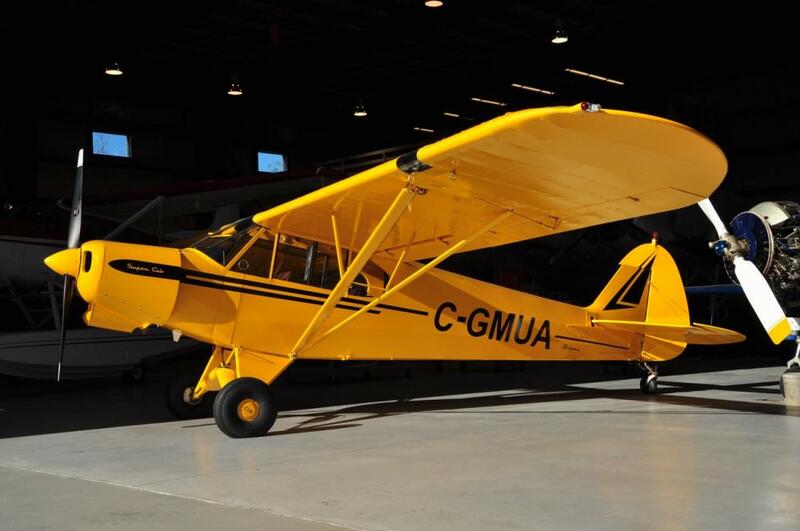 We did an import on a "new" Cub Crafters Super Cub. Super Cubs have been popular for 62 years. You can see why. We have been doing all sorts of upgrades to the de Havilland Beaver S/N 958, formerly known as N2400F, now registered as C-GNBA. It had the Sealand Aviation Cabin Extension Kit with the baggage door, but we added in an Alaska Door, and the new double bubble windows. 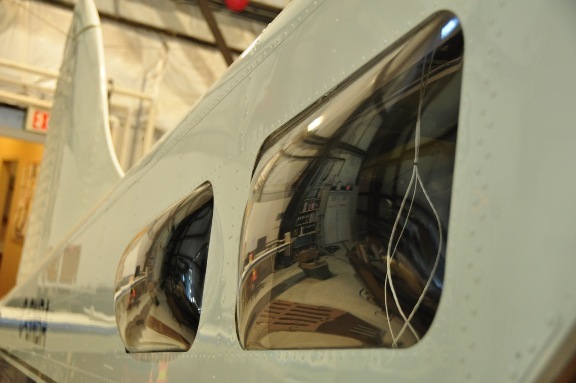 That wire hanging down in the window is part of the new wiring for the new instrument panel and avionics on C-GNBA. Stats Canada says there is a zero unemployment rate for Avionics engineers. 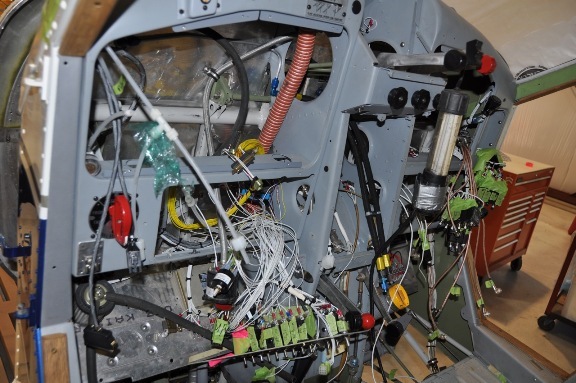 The intimidating bundles of wires in the picture below explains why avionics personnel are in high demand.